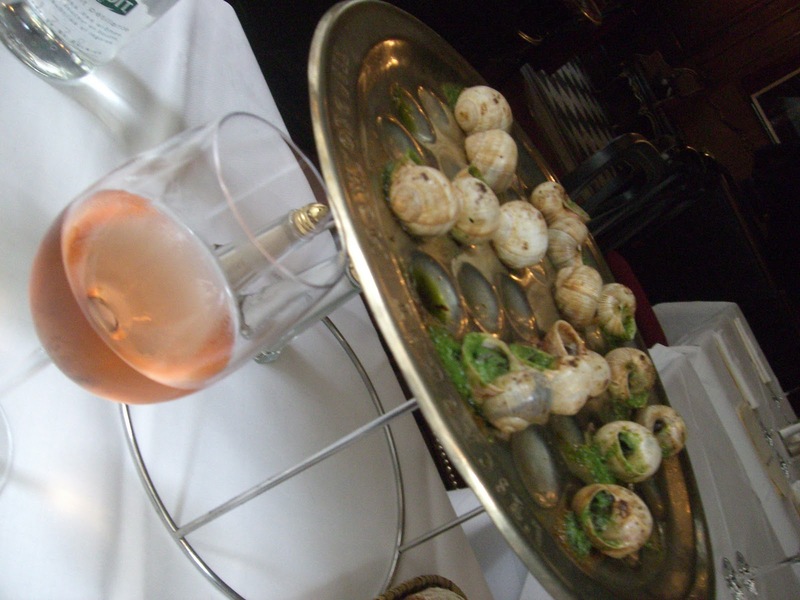 Our order is always the same, a hefty portion of escargot- either 24 or 36- in each of the three flavors offered- traditional garlic with parsley, roquefort and foie gras (I believe there used to be a curry option, as well). With a glass of rosé or champagne and a pile of golden, crispy french fries, that's lunch and the perfect start to a weekend in Paris. It's particularly lovely when it's warm enough to dine outside facing the bustling foot traffic of Les Halles/Marais. It's definitely not something we usually have around here, but those snails certainly look worth trying. Since I can't get to Paris, I'll have to go find a recipe and make some myself.